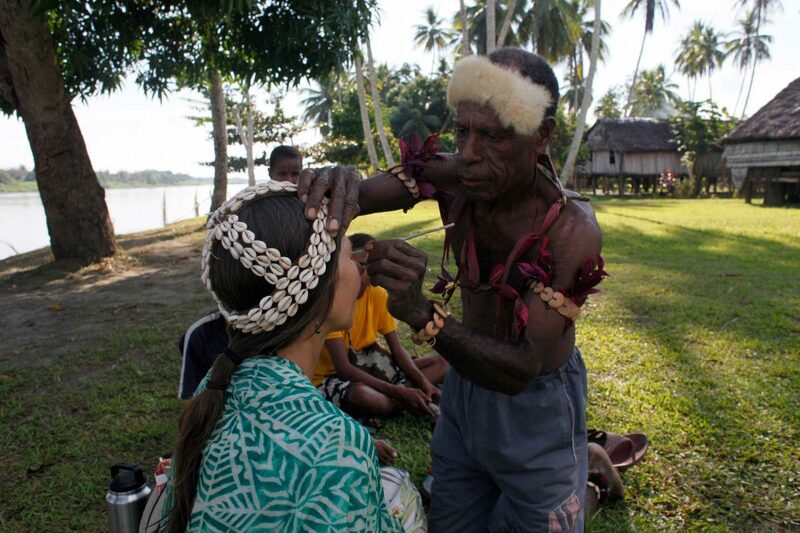 Visiting the Sepik River and its people. Photo supplied. The people of the Sepik River in Papua New Guinea understand the threat to their lives and culture from the Chinese-owned copper and gold mine that is currently being proposed to be built on the Frieda River, a tributary of the headwaters of the Sepik River. My partner Raine Sharpe, myself and Keith O’Neill have just returned from the remote Sepik River in Papua New Guinea. 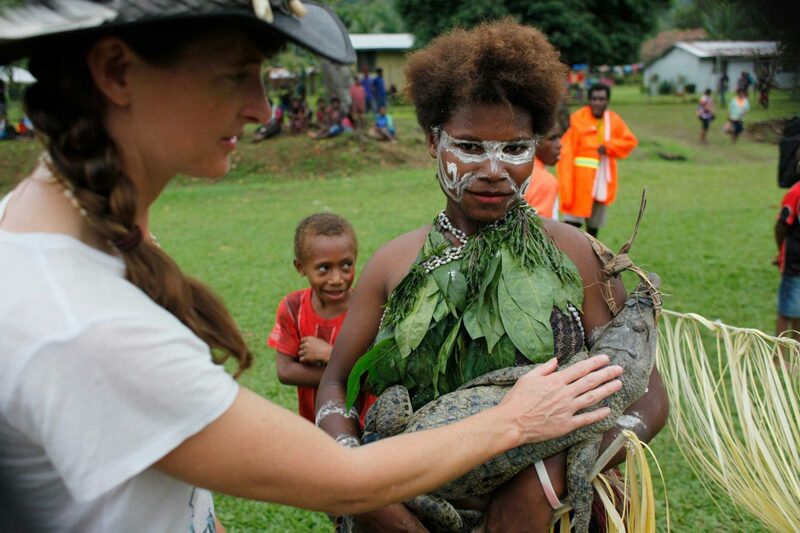 We were part of the Northern Rivers Folk Choir that responded to invitations from the people of The Sepik to live with them, share their culture and help alert the world to the threat to their lives from the copper and gold mine being proposed. We were welcomed into their homes, their daily life and their rich and colourful culture. Sepik people are warm, generous, and intelligent with a great sense of humour. They are renowned for the quality of their artistic cultural expression and live an ecologically aware life described by PNG ABC journalist Sean Dorney as ‘affluent subsistence’. The Sepik River is 1,200 kilometres long and is the largest uncontaminated freshwater system in the Asia Pacific region. Rising in the Central Highlands it winds its serpentine way through mountains, rainforest and wetlands to the ocean. People have lived on the Sepik for many thousands of years. The second-largest river in PNG is the Fly River. In the 1970s Australian mining companies built Ok Tedi, a huge copper and gold mine on the river’s headwaters. This mine became the scene of what is now recognised as the biggest ecological disaster in the world. Discharging 80 million tonnes of contaminated tailings and mining erosion into the river system each year has caused 1,300 square kilometres of the river to be irrevocably damaged. People of the Fly River now suffer serious health problems with their main sources of food and water subjected to heavy-metal poisoning. I’m drawing the comparison between these two magnificent river systems because the mine proposed by the Chinese-owned Australian mining company PanAust that is preparing to build a gold and copper mine on the Sepik river system is as big, if not bigger than, Ok Tedi mine. The people of the Sepik fear for their future and their way of life. They know about the damage to the Fly River and its people and are deeply fearful that the Freida mine is another Ok Tedi in the making. So far there has been minimal community consultation and the Sepik people consider the mine does not have a social licence to go ahead. We have a deep sense of shame that an Australian company recklessly inflicted damage on the Fly River and its people. The Sepik River is the lifeblood of its people. The children of the village we stayed with are healthy and vibrant. Their delight and laughter melted our hearts. Professor Tim Flannery says he cannot think of a worse place for a copper mine. Surely we cannot allow an ecological disaster to happen again. To raise awareness and funds in support of the people of the Sepik we are holding an evening event Tales of the Sepik River in Mullumbimby on Saturday September 29 at 6.30pm. If you want to know more about this event email raines@australis.net. If you want to know more about the people of the Sepik, and the Frieda mine, go to Save the Sepik River and its people on Facebook. Resources firm Pan Aust (wholly owned by the Chinese state company, Guangdong Rising Assets Management, GRAM), has lost its way with the Frieda River copper-gold project in Papua New Guinea’s Sandaun Province. It is now time for the PNG government to exercise leadership and rein in control over the Frieda asset if the PNG is to sustain its free education and health policies and lift the rest of the country out of poverty, disease and ignorance. The view from Frieda is now very different compared with the corporate carnage of 2013 following Glencore’s hostile takeover of Xstrata Mining. In that epic battle for world copper supremacy, Mike Davis’s Xstrata lost to Ivan Glasenberg’s Glencore and with it went a chunk of PNG’s national asset, the K260 billion Frieda mine. Glasenberg has gone on to become the king of copper and head of the number one mining house in the world. But then, for a deposit of just K80 million, little known Australian miner Pan Aust Ltd moved in and acquired Frieda from Glencore while PNG government advisers and ministers slept on the job despite warnings from industry that the government should exercise control and reclaim ownership over its strategic asset. Pan Aust went on to the sell out to GRAM in 2015 for a reported K1.2 billion although officially the deal was closed at K450 million. GRAM is owned by the municipality of the city of Guangzhau in southern China, although the deal maker in this transaction was a leading Australian Chinese billionaire Dr Chau Chak Wing, the subject of a current controversy because of allegations that he is an agent of the Chinese Communist Party. Additionally, the influential South China Morning Post reported in September last year that the chairman of GRAM, Li Jinming, as well as the CEO and chief financial officer had been arrested and are facing prosecution in China for failing to account for a number of acquisitions made by GRAM in Australia, including Pan Aust, leading to a loss by GRAM of more than K3.2 billion. None of these corporate maneuverings went unnoticed by the government of China and eventually Glencore was forced to sell a number of its copper assets to China in order to keep selling its copper ore to the communist country. I suspect the sale of the Frieda copper mine may have been part of an arrangement between Glencore and the government of China for a number of its assets to be sold to Chinese-controlled companies. But the question that now needs to be asked in PNG following the arrest of the GRAM directors is what can the PNG government do with Frieda? 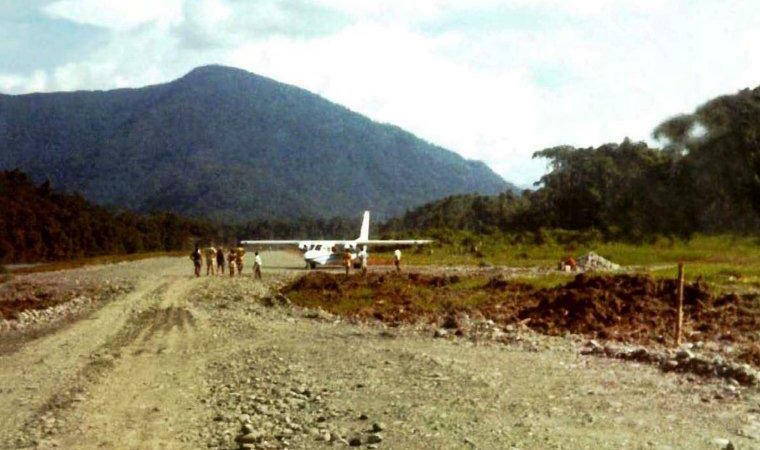 Last week, the PNG Mineral Resources Authority reported that Pan Aust had advised it of the withdrawal of an application for the mine development license over Frieda that was filed in 2016. I suspect the real reason for this is that Pan Aust does not have the required capital to follow through with the development of Frieda Mine since the arrest of the GRAM executives in China and the freeze on GRAM’s activities pending finalisation of court proceedings in China. Pan Aust and its junior partner Highlands Pacific are already in arbitration over the issue of the costs relating to each partners contribution to the feasibility study. In the wake of this total mess, an opportunity exists for the PNG government to open dialogue directly with the government of China to revisit the Frieda project. Already two leading Chinese state companies – China Energy Engineering Ltd and China Railway Yunnan Construction & Development Ltd – have expressed interest in developing the infrastructure associated with the mine. 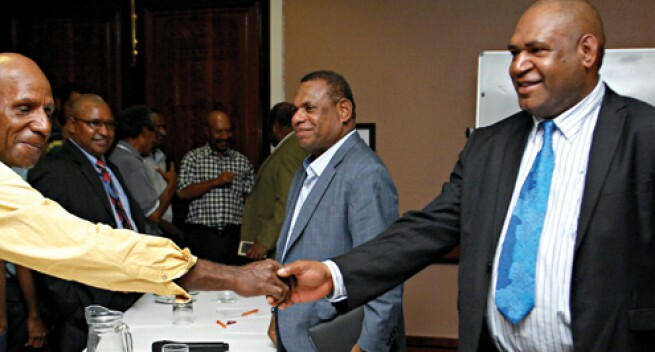 The PNG government and the provincial governments of West and East Sepik – the ministers of the two provinces in particular – should take the lead in opening dialogue with China on the Frieda project. How the Frieda project will be developed is part of the unfolding resource war being waged worldwide between private capital (represented by figures such as Glasenberg, Donald Trump and Malcolm Turnbull) and powerful state actors such as the gvernment of China and other savvy emerging states such as Russia and Indonesia. The leading US-based mining journal Behre Dolbear reported last week that the Republic of Congo, Ghana, Tanzania, Zambia and Mauritania have recently enacted new legislation apportioning greater revenues from mining in favour of the state to the rejection of Barrick Gold in Tanzania and Glencore in Congo. Over the last six months we have also seen the rise of resource nationalism in Indonesia with a direct challenge to BHP Billiton and Freeport Copper to divest up to 51% of their interest in the Grasberg mine to the Indonesian state. At the time of writing, BHP has agreed to sell its 40% stake to the state and current negotiations continue on the quantum of compensation for environmental pollution by Freeport. While there is a much kneejerk reaction by our neighbours about Chinese checkbook diplomacy in the region, it must be remembered that China is Australia’s number one trading partner. Despite just 70 years ago China being rolled over by Japan after a long period of being pushed around by colonial powers, it has emerged in recent times as a super power extending its hand of friendship to countries around the world as it builds a new world order with itself at the centre. This may be too unequivocal as many third world countries including PNG are now better poised to consider bartering our copper, gold and other mineral wealth for infrastructures such as roads, ports, railways, universities and hospitals rather than simply allowing private capital through direct foreign investment. Our experience over 40 years has been dismal as highlighted by reports such as that by Jubilee Australia. As PNG struggles to build its next generation of mines, the young lawyers and technocrats advising our leaders must take it upon themselves not to repeat the mistakes of the past but to look at recent deals between China and a number of counties in Africa and negotiate a new mining development contract for PNG that we all can be proud of. 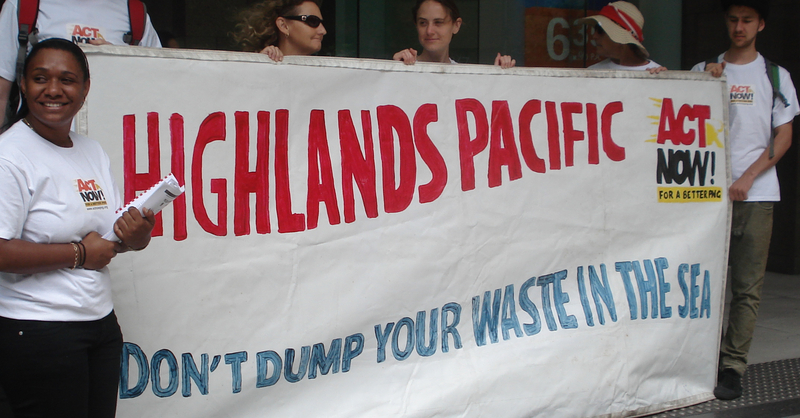 Protest outside the Highlands Pacific offices against the Ramu nickel mine marine waste dumping. Nov 2010. ASX-listed Highlands Pacific is facing a $12.4-million bill relating to the Frieda River copper/gold project, in Papua New Guinea, after the first stage of arbitration found in favour of project partner PanAust. Highlands, which has a 20% interest in the Frieda River joint venture (JV), has been arguing that a feasibility study submitted to the Papua New Guinea government as part of an application for a special mining lease in June 2016, was incomplete, and that the company’s free carry should continue. However, an arbitrator has determined in the first stage of an arbitration process that Highland’s free carry for the Frieda River project feasibility study ended on the date of the lodgement of an application for a special mining lease. The arbitration will now proceed to the second stage, with Highlands telling shareholders that it will be contending that other provisions of the JV agreement should be applied to make PanAust liable in the first instance for the full cost of the feasibility studies undertaken since June 2016, with the right for Highlands to pay its share at a later date, if the project proceeds. If Highlands is unsuccessful in the second stage, and if the cash calls made by PanAust are held to be valid, the ASX-listed company will be expected to pay its share of project expenditure from June 2016 to May 2018, which amounts to some $12.4-million. In this case, the company could either elect to pay the amount, or have its share in the JV dilute by around 2.2%. 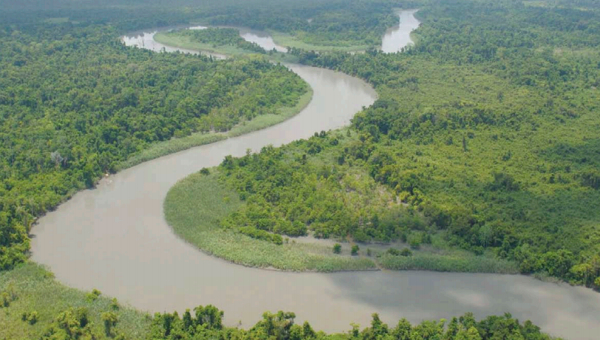 Meanwhile, the permitting process for the Frieda River project is continuing, although the Papua New Guinea authorities are awaiting the completion of current feasibility study work, which is scheduled for the second half of 2018. What will be the costs for the environment and the mighty Sepik river as PanAust looks to “decrease capital expenditure”? THE Frieda River copper-gold project in Papua New Guinea’s Sandaun Province represents PanAust’s long-term strategic growth opportunity. This was said by PanAust managing director Fred Hess when he presented the company’s quarterly report for December 2017 this week. “In 2017, we made strides towards making the project a reality through identifying opportunities to increase the value of the project, decrease capital expenditure, and reduce its overall risk profile. “We will continue to evaluate these opportunities in 2018,” Hess said. The company says it continues to liaise with PNG authorities on Frieda River following lodgement of a special mining lease (SML) application and environmental impact statement (EIS) with the Mineral Resources Authority (MRA) of Papua New Guinea and Conservation and Environment Protection Authority (CEPA) of PNG, respectively in 2016. “The overall approval and permitting process for the SML application and other permits and approvals is now being coordinated by a government appointed state negotiating team, chaired by the Department of Mineral Policy and Geohazards Management. PanAust says it is investigating opportunities to increase the value of the project and access alternative development pathways to decrease capital expenditure and reduce the overall Project risk profile. Study work to investigate these opportunities continued throughout the quarter, and indicate several potential pathways for value enhancement. The outcomes of this work will inform a decision as to whether an update to the project’s SML application will be made. Hess added: “Looking to the year ahead, PanAust will look to further strengthen the relationships that have become integral to the company’s success, and are synonymous with how it conducts itself where ever it operates. “The common currency of PanAust’s success is the strength of its relationships; relationships with our employees, communities, host governments, suppliers, peers, and partners. These relationships depend on trust and consistent transparent communication. This is what pushes PanAust way ahead and will continue to do so throughout 2018,” Hess said. The former chairman of a Chinese state-owned enterprise has been handed over to prosecutors for investigation after the company’s investments in several Australian mining ventures lost more than $1 billion. Li Jinming, who chaired Guangdong Rising Assets Management, which is owned by Guangdong province, was earlier expelled from the Communist Party following an investigation that began in 2014 over losses that the disciplinary inspection team described as “dreadful”. The company was established 17 years ago with $2bn capital, the South China Morning Post reported, and it began investing in Australia after the Global Financial Crisis pushed down asset and commodity prices. It also paid $15m for a large stake in gold and base metal explorer Hawthorn Resources. Leading Chinese financial website Caixin reported that most of these deals had since made losses, with calls on further capital from GRAM. Li Zezhong, who worked for GRAM for 11 years, ultimately as president, was then appointed mayor of Zhuhai, a thrusting city of 1.5 million on the western side of the Pearl River Delta, just north of Macau. It was his successor at GRAM who urged a deepening of the investigation into the company’s management. Last month it was announced that Li Zezhong was being investigated for “serious violations of party discipline,” believed to relate to his time at GRAM. Four colleagues from his time at the company are already being prosecuted for corruption. Caixin has reported that investigators are also seeking to interview Liu Facai, now living in Australia. He chaired the committee responsible for all state assets in Guangdong province when he led a team to Australia 11 years ago to explore investments in mineral projects. Caixin said that he and his son, who was already living in Australia, introduced GRAM to firms in which the company went on to invest. “The company has put an application to convert mine waste into power generation system , but the State does not have the capacity so it is doing its best to hire people to give the best advice on how we can look at that and we can give the okay for that 40 per cent to be completed, for 100 per cent to give the mining license for project to start,” Mr Pruaitch said. HOW ARE OUR POLITICIANS STILL ABLE TO SPOUT THIS NONSENSE AND NOT GET LOCKED UP IN LALOKI PSYCHIATRIC HOSPITAL? OR MAYBE WE NEED TO CHANGE THE LAW TO MAKE PEDDLING FALSE CLAIMS AND PRAYING ON PEOPLES DESPERATION BECAUSE THEIR GOVT HAS FAILED THEM A CRIMINAL OFFENCE? FRIEDA Mine landowners have come together to discuss issues including benefits for negotiations with the National Government and developer PanAust when Frieda Mine project comes into development. Member for Telefomin Solan Mirisim who initiated the first ever landowner forum to discuss issues surrounding the Frieda River Project, the Political Leaders from the West Sepik Province. MRA and stake holders emphasised on how best they can work hand in hand and support the Company, landowners and the State to kick start the Project once the SM application is granted. Mr Mirisim said Telefomin is the host District of the Frieda River Project and is one of the most remotest districts in the country that has no road link, only mode of transport is by Air and the four LLG are all accessible by third level airline and it is very expensive District to deliver goods and services to our people on time. “I would like to thank the Highlands Pacific and the PanAust for taking the project closer to fruition. One final step to finish and we will have a world class Mine that will be mined and developed in our District which will no doubt create prime opportunity to impact and transform the lives of our people through employment, training, economic empowerment, contracts and all kinds. “We want to see a Pathway that will improve our way of life, a pathway that will change the areas of Infrastructure, a pathway that will see a society transformed with Improved Social and Health Indicators. MINER PanAust Limited has broken its silence on the rift that has developed with its joint venture partner-Highlands Pacific Limited (HPL). Responding in a market report managing director Dr Fred Hess clarified the proposal was to reinvigorate its (HPL) board and that it had omitted material information to the proposal. “PanAust also wishes to note that in its view each nominee would meet the test of independence as set out in the Australian Stock Exchange (ASX) Corporate Governance Principles and Recommendations.” he said. “PanAust also wishes to clarify that the proposal to reinvigorate the Highlands board is unrelated to the ongoing dispute in relation to the Frieda River project and the proposed independent directors have no involvement in the Frieda River joint venture. Dr Hess said the reasons for PanAust seeking to change the composition of the Highlands board include to implement a new strategy and direction for Highlands. Dr Hess said this is with a view to increasing shareholder value in circumstances where the HPL share price has decreased significantly over the last five years. “PanAust notes that voting patterns at the last annual general meeting reflect substantial shareholder discontent with the current board following the US$68 million loss in 2015 which included the payment of short term incentives to senior management. “Sentiment is unlikely to have improved following the 2016 half year loss of US$23.5 million which has been exacerbated by the board’s delayed and ineffective response to implement austerity measures and also in the absence of any disclosure in respect of strategy to create shareholder value. “Clearly, change is overdue with barely US$10.5 million cash left in the bank at year end after spending US$3 million on staff costs for the year,” Dr Hess said. “PanAust considers that the appointment of a new, independent board is an important step towards a strategic reinvigoration of Highlands with a view to stemming ongoing value destruction. “PanAust notes that it is still waiting on a response from Highlands on the date of the shareholders meeting to consider Highlands board composition,” he said. He urged investors to consider the resolutions being proposed by PanAust carefully, together with the information and reasons put forward by PanAust. Further, that they vote in favour of the resolutions at the special meeting, which will be held in May, 2017.